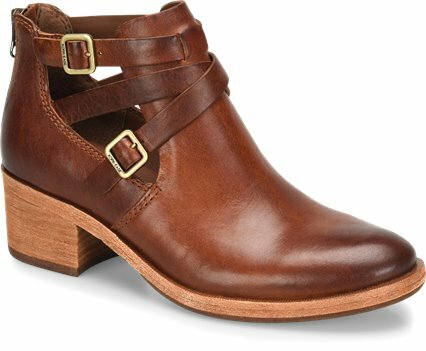 I love Kork-Ease.... just bought these in black...put them on and put in an 8-hr day on my feet. Immediately comfortable. I know some suggest going a half size smaller, I did that on a different pair (I’m a 7) and while the length was fine, the width at the top, pinched. I went with my normal size on these and don’t regret it. If you want instant comfort, order your normal size...if you want them snug and hope the leather stretches, go a half size smaller. These look so classy on and I love the smooth leather...so happy these weren’t in a suede-only option. Also, the open work at the ankle breaks up having a chunk of solid black leather staring back at you. Super stylish, comfortable with a little stacked heel for height, but nothing you can’t handle if you have to make a run for it. Get these!